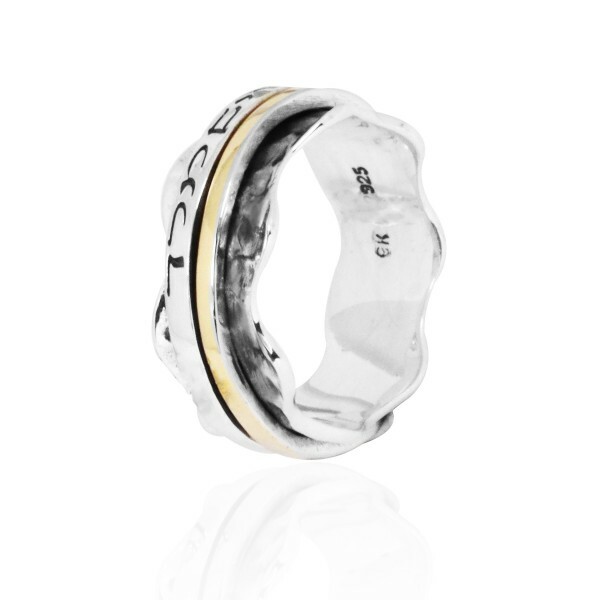 "May Gd Bless and Protect You" is written on this lovely spinner ring made of Sterling silver and 9k gold. 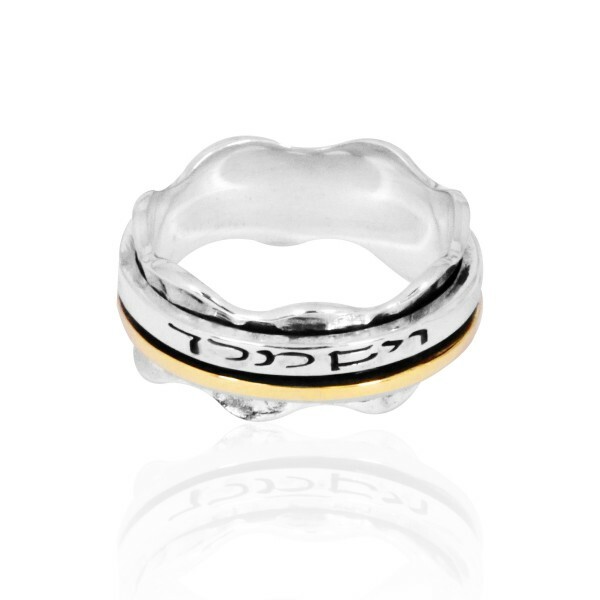 A high quality design and meaningful quote, this is an inspirational ring to wear. This stunning Sterling Silver and 9K Gold spinner ring is designed with the verse "May Gd Bless and Protect You" and the shape of a crown, with crown like ridges along the side above the lettering. Stylish and meaningful, it keeps the fingers occupied and the mind attuned to God's blessings and protection.